← A level minority report: Dance, Music, Philosophy. In the early 1900’s, DuBois strongly advocated liberal or classical education as the best means to help Black Americans fully emancipate themselves. He debated this with Booker T. Washington who took the view that Black advancement would come from self-help and the acquisition of practical skills. Both their positions were nuanced responses to the massive challenges facing African Americans; inequality, segregation, racism and the legacy of slavery. It would be wrong to characterise DuBois simply as opposing vocational education for African Americans even in his early phase. This debate wasn’t just about academic versus vocational education but about the best strategy and tactics to achieve the common goal of black advancement in a highly unequal society. 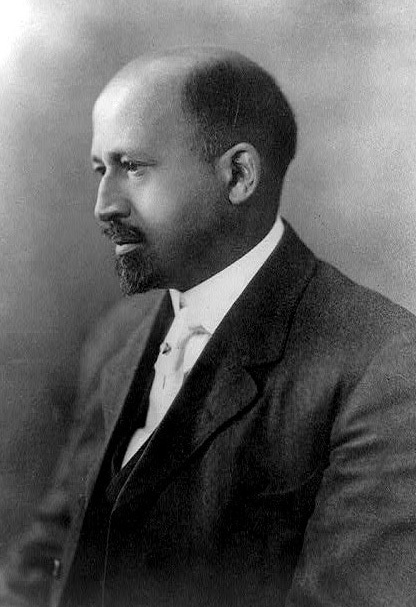 In this period, DuBois advocated the development of a classically educated ‘talented tenth’; a Black leadership cadre who would lead African Americans to emancipation and equality and within which women played a central role. From today’s perspective, this approach seems somewhat elitist but at the time it was a pragmatic response to addressing the vast economic, educational and political inequalities between black Americans and their fellow citizens. One aspect of this was the importance of African Americans gaining greater control of their public education and shaping the curriculum, wresting it from institutionally racist structures. DuBois strongly opposed segregation wherever it existed and his ideal would be integrated, multi-racial schools with both black and white teachers, adequate funding and a high quality education. However, he was prepared to countenance separate black schools as having a better chance of creating the basis for black empowerment. By 1930, DuBois had adapted his own view to incorporate the need for technical and vocational education as a component of a broad education for advancement, although he did not want schools to become the hand-maidens of big business and industry. He wanted the education of ‘mind and hand’ which would include the humanities as well as technical and vocational learning. He also revised his notion of the ‘talented tenth’ and in the 1940’s started advocating the education for leadership of a more representative ‘guiding hundredth’ of the black masses. In the Cold War environment of the 1940’s and 50’s, DuBois advocated an education which developed good basic skills and encouraged all citizens to challenge the social, economic and political status quo that privileged a few and relegated many to poverty. It should be academic and rigorous while also encouraging people to see the connection between the idea of democracy and the practice of democracy. DuBois had no illusions that education alone could end discrimination, social and racial inequality and injustice. He recognised that laws and institutional structures, racism and market capitalism all played their part in holding people back. He based his educational ideas on a deep understanding of the position of black people in society and always framed them in the wider social and economic context. DuBois consistently supported independence, anti-imperialist and liberation struggles around the world and believed that education had to be part of a strategy of intellectual as well as political liberation. In The World and Africa (1947) he outlines the contribution of Africans to world history and makes global connections. The black history and black pride movements owe a great deal to DuBois pioneering work. In his visionary short story A.D. 2150, DuBois imagines a genuinely ‘post-racial’ future where there is no poverty or discrimination and where people can relate to each other on equal terms. We are not there yet, our society and education system are still far from equal and W.E.B. DuBois’ work continues to have much to offer us. Source material: The Educational Thought of W.E.B. DuBois by Derrick P. Alridge (Teachers College Press, 2008). Any inaccuracies in this post are mine. This entry was posted in Education, History and tagged African American, curriculum, Democracy, discrimination, Education, Equality, liberal education, Martin Luther King, Race equality, vocational education, W.E.B. DuBois. Bookmark the permalink.